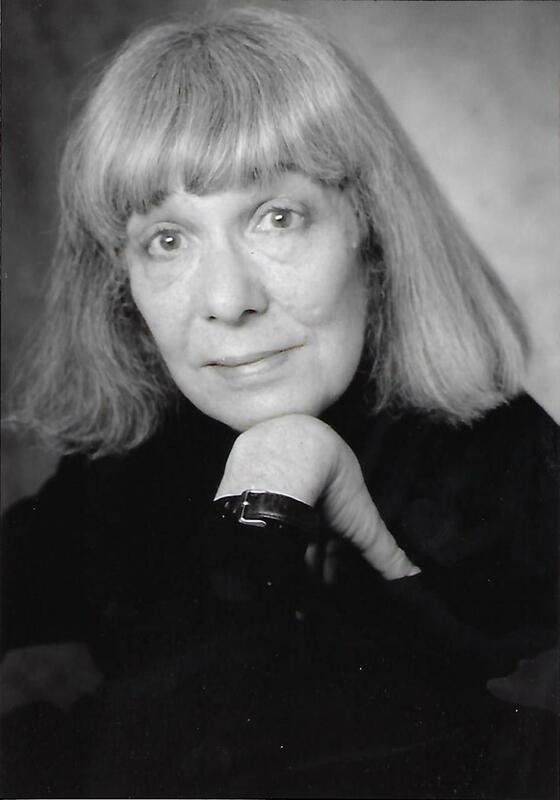 Nina Joan Auerbach was the John Welsh Centennial Professor of English until her retirement in 2010. She published, lectured, and reviewed widely in the fields of Victorian literature, theater, cultural history, and horror fiction and film. Her books included Our Vampires, Ourselves; Private Theatricals: The Lives of the Victorians; Ellen Terry, Player in Her Time; Romantic Imprisonment: Women and Other Glorified Outcasts; Woman and the Demon: The Life of a Victorian Myth; and Communities of Women: An Idea in Fiction. Her book, Daphne du Maurier, Haunted Heiress inaugurated the University of Pennsylvania Press series, Personal Takes. She receieved Guggenheim and Ford Foundation Fellowships as well as the Lindback Award for Distinguished Teaching at Penn. In 2000, she received the annual Distinguished Scholarship Award from the International Association of the Fantastic in the Arts. Ilana Blumberg "The Poetics of Ethics of Things: Sympathetic Property Relations in Silas Marner, Romola, and the Moonstone"
Laura S. Croley "Wanderers and Settlers: Vagrancy, Begging, and the English Middle Class, 1790-1867"
Jonathan Grossman "The Art of Alibi: A History of the Novel and the Law Courts"
Darryl Wadsworth "Popular Sentiments: Victorian Melodrama, Class and Sentimentality"
Frederick De Naples "Deadly Secrets, Dangerous Homes: Living with Sensation in the Victorian Period"
Deborah Schizer "Eroticizing the Middle Ages: Gender and Sexuality in Pre-Raphaelite Medievalism"
Jennifer D. Brody "Impossible Beings: Complicating Categories in Victorian Culture"
Athena [node:field_people_middlename] Vrettos "In Sickness and in Health: Victorian Discourse on Disease"
Constance [node:field_people_middlename] Harsh "Feminist Solutions to Social Crisis in the Condition of England Novels"
Jo Ellen [node:field_people_middlename] Parker "Madonnas, Magdalens, and Madwomen: Biblical Typology in the Early Works of George Eliot"
Louis S. Gross "The American Gothic Novel and the Challenge of Generic Convention"
Diane [node:field_people_middlename] Lichtenstein "Jewish Women Writers and the Myths of American Womanhood"
Robin [node:field_people_middlename] Roberts "Doris Lessing and Feminist Science Fiction"
Helena [node:field_people_middlename] Michie "The Flesh Made Word: Representations of Women's Bodies from the Victorian Era to the Present"
Joshua H. Silverman "World of Thackeray's Novels"